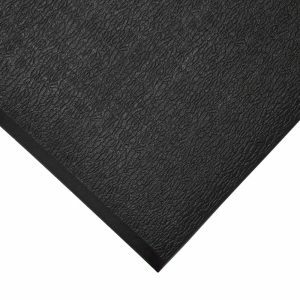 Interwoven PVC mat with safety bevelled edging all round. Open weave effectively traps debris. Cross-ribbed in both directions to reduce slip-related accidents. Fire tested to DIN 54332 (B2) part of DIN 4102. Hole Size:Standard: 22mm x 22mm. Heavy: 22mm x 10mm. Workstation, our PVC anti fatigue mat is available in two options; standard and heavy. 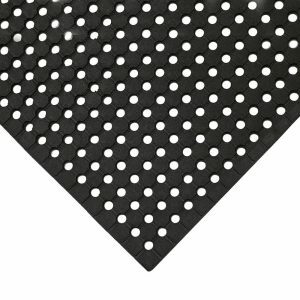 The mat provides ant fatigue relief and helps to reduce slip related accidents. The open weave feature effectively captures liquid and debris. 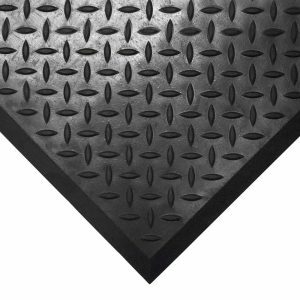 For increased safety this PVC anti fatigue mat also features bevelled edging. 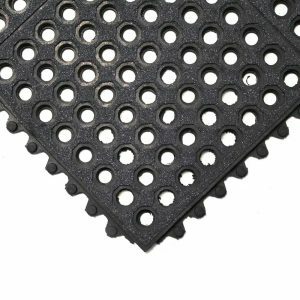 See our full range of Anti Fatigue Mats.